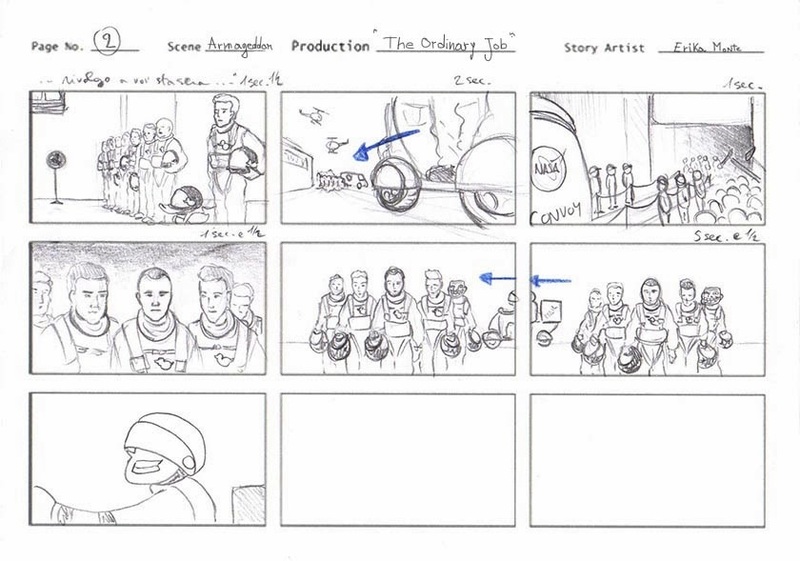 akire's portfolio: Storyboard: a scene of the animated short "The Ordinary Job"
Storyboard: a scene of the animated short "The Ordinary Job"
Questo che vedete è lo storyboard che ho realizzato per la scena ispirata al film di "Armageddon", presente nel nostro primo cortometraggio "The Ordinary Job". 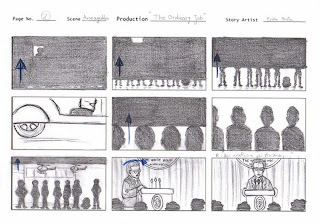 Sotto potrete vedere poi la versione finale della scena. 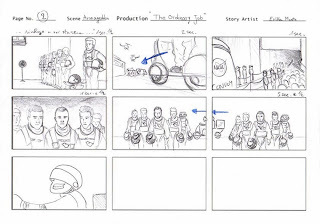 Here is a storyboard I made for the scene inspired by "Armageddon" movie, that is in our first short: "The Ordinary Job". 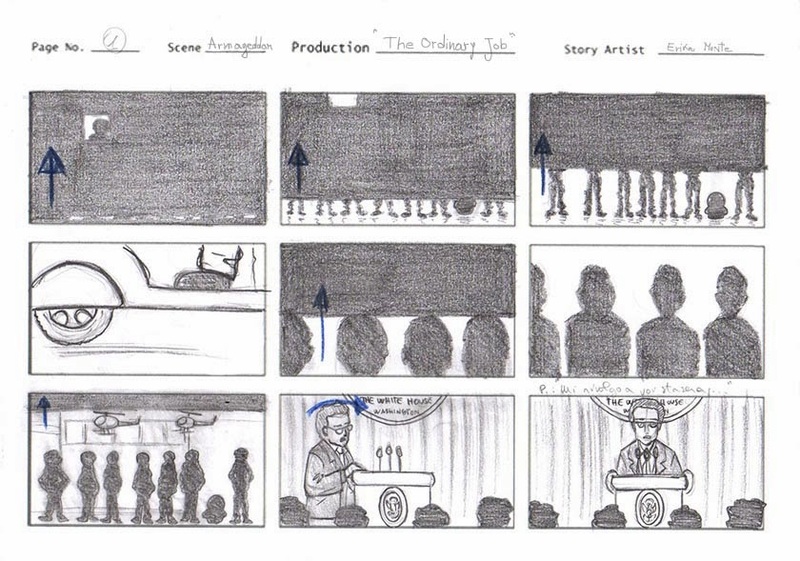 You can see the final version of this scene below.